Looking for a compromise between the Frozen soundtrack and NPR (or Naptime Public Radio as the kids call it these days*)? Well look no further. With more ways to access podcasts than ever before (I’m looking at you Pandora), engaging children in oral storytelling is easy-peasy lemon-squeezy these days. Whether your podcast agenda is audio learning, mindful moments, or just plain entertainment, we have a suggestion for you. 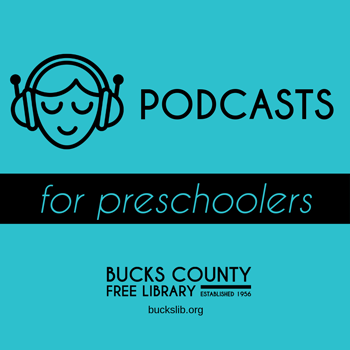 Move over Elsa, we’re letting it go with captivating podcasts you AND your preschooler will enjoy. Ear Snacks – With episodes lasting about 20 minutes, Andrew and Polly narrate this “musical podcast for kids about the world.” Explore topics from toenails to wild turkeys to caring for your teeth with cool music and fun sound effects. BONUS: The podcast features guests like Guy Raz from Wow in the World (see below), a great way to influence your next podcast pursuit. Little Stories for Tiny People – “Now remember: there are no pictures. You have to imagine them in your mind.” My personal favorite from my podcasts for preschoolers journey, Little Stories for Tiny People features traditional and quality storytelling for children ages 2-4 years. BONUS: Narrator Rhea manages to sneak in valuable lessons during these captivating tales that will have you wishing the (typically) 25-minute episodes didn’t seem to fly by. Peace Out – Anyone in the mood for an escapade underwater, in space, or on a mountain? Featuring guided visualization and breathing exercises for children, Peace Out takes you on a universal adventure while helping you mind your mellow. BONUS: These short stories explore emotions including happiness and jealousy and can encourage self-awareness and self-regulation. Spare the Rock, Spoil the Child – More of an audio stream than a standard podcast, Spare the Rock, Spoil the Child introduces children to new music from old favorites to familiar hits. Playlists feature musicians including Caspar Babypants and Elizabeth Mitchell, as well as The Ramones, Elvis Costello, and Earth Wind & Fire. What If World – What if kittens played the glockenspiel? What if unicorns were real? What if you could fly or travel back in time? Welcome to What If World. Questions and ideas from children inspire the stories that one narrator takes on at a time. BONUS: The introductory song is AWESOME, and the 15 minute episodes lend themselves to quick trips in the car. Wow in the World – Produced by NPR, Wow in the World explores scientific concepts like why a dog’s nose is wet and whether dinosaurs had dandruff. Narrated by Mindy and Guy Raz, the back and forth storytelling keeps you engrossed. BONUS: The podcast may inspire children to read up on a concept (public library, anyone? ), and Mindy’s bubbly personality and infectious energy bring so much to the podcast. Time for you and your preschooler to get your podcast on, friends.